If you've been following my Instagram for a while now, you'll know I've managed to cram in quite a few little trips since the start of the year. So it felt pretty fitting when Aspinal (who have just recently opened in House of Fraser in the Metrocentre) sent me this beautiful monogrammed passport wallet! I've always been a bit of a traveller but it's just in the last year that I've really started to plan out my trips carefully. My motive starting out was to focus on saving time off work and money to allow me to extend my holidays further. Since going freelance it's been even more important to make sure my trips are cost effective. As well as make sure that while I'm still giving myself the time to travel frequently, I'm not neglecting my clients! So I thought this little post might be something useful for anyone looking to maximise their travel opportunities without it getting in the way of work. In the past year some of my best trips have been born out of spontaneity. While there's been plenty of places I've checked off my list after spending years wanting to go, some of my trips were planned simply because I found cheap flights. Like ridiculously cheap flights. Skyscanner is a great website if you're in more of a holiday browsing mode because you can search for flights to anywhere in the world for a particular date. 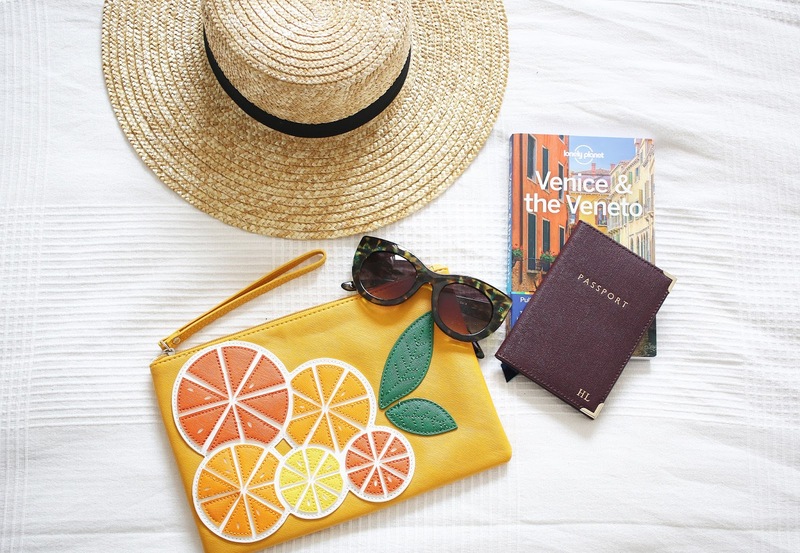 It can be a great way of bagging a bargain flight and getting a little holiday inspiration. Having found some amazing properties (in even more amazing locations), I'm a big fan of Airbnb. Sure, you need to spend a couple of hours searching sometimes, but it's worth it because places like the one me and Helen found in Venice are worth their weight in gold. I mean what hotel would you find with vaulted ceilings and beautiful balconies that overlooked the canal for less than £100 a night? Plus you get the option to go self-catering so you can save some of the money you'd have spent eating out all the time. Despite travelling quite frequently, when it comes to packing, I'm still guilty of just trying to cram my whole wardrobe into my bag. Not that I ever think I'll need or wear most of it. I just always like to have options. I'm one of these people that likes to see how I feel when I get somewhere. However most of the short breaks I've been on this year have been for around 4/5 days so I've opted simply for hand luggage, and crammed as much as I can into my little case. Usually you'd be surprised how much will fit! There are plenty of discounted travel websites offering everything from the likes of cheaper hotel rooms to mini spa packages. Most of the best ones ask you to sign up as a member but you can get your hands on some amazing discounts if you keep your eyes out. They can also be great websites for finding popular tourist trips and packages at much cheaper prices for people who book in advance. Booking flights is always a bit of a gamble and I don't think anyone can pinpoint the exact right time to book. I've read random articles claiming that Tuesday is a good day to look for flights because most airlines release sales and last minute weekend deals from Monday evening. Same goes for booking in advance - most people claim booking 7 weeks for short haul and 18 weeks for long haul will bag you the best fare, but it can be luck of the draw. One of the greatest things about travel is getting to experience the new. But getting to enjoy a more authentic experience usually means heading a little off the beaten track. Particularly when it comes to local cuisine. As a general rule of thumb it's always best (and cheaper) to avoid anywhere too close to major tourist sites because the food tends to be poorer quality. Local street food can also be a delicious and cheap alternative to dining in traditional restaurants. It goes without saying that traveling in the height of summer is always going to be expensive! It's also not the nicest way of seeing places because major tourist attractions are all surrounded by swarms of tourists. Which obviously means waiting in line for way longer than you might during quieter months! Plus if you're not bound by school holidays, you'll always get cheaper flights (usually by hundreds of £s), better hotel rates and availability. Completely agree with all of these. Never really thought about which day to look for flights but I might take a look on a Tuesday next time I get itchy feet. That monogrammed passport cover is so cute, I really wanna pick one up so I can protect my 10 year one…as I'm hoping it's going to see some serious use in the next couple years!